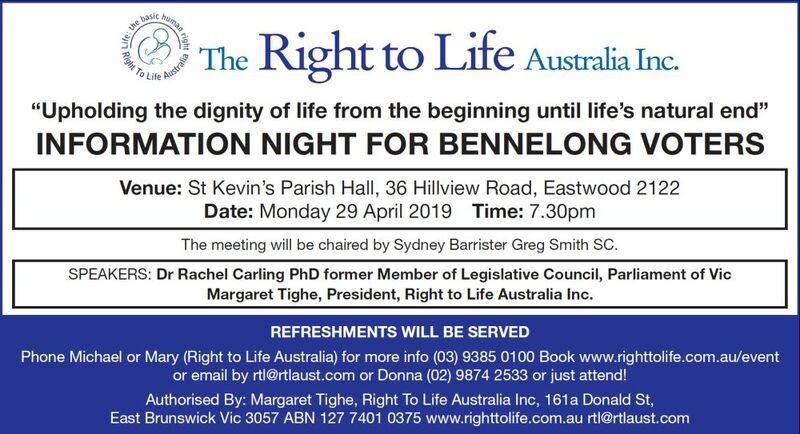 Ms Tighe said the Right to Life Australia is campaigning asking for a vote against Labor in Mulgrave, Frankston, Carrum and Bentleigh and also against Independent Suzanna Sheed in Shepparton who voted for the euthanasia bill. Below please find a copy of the front and back page of our "Euthanasia is toxic" brochure targeting Labor candidate for Mulgrave and Premier Daniel Andrews. His government introduced the Voluntary Assisted Dying Bill 2017, narrowly passed last year.